Robert Gibb | Glasgow Solicitors | Latta & Co. While working towards his undergraduate degree, he volunteered with the University of Strathclyde Law Clinic, assisting the public in relation to a variety of different areas of the law. Upon the completion of his studies, Robert started his traineeship with a busy Glasgow legal aid firm, during which time he developed a particular interest in asylum applications and appeals. 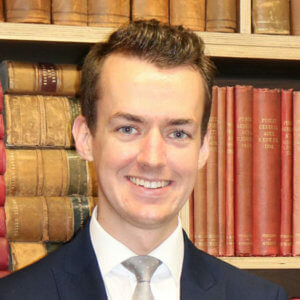 He completed his traineeship in 2016, before then joining Latta & Co.
Robert’s work covers various different areas including, but not limited to, immigration, asylum, human rights and general civil & criminal work. With a keen interest in access to justice, he strives to ensure that all clients are provided with the necessary support, advice and assistance at every stage of their legal proceedings. Robert regularly appears in courts and tribunals in relation to a variety of matters.